FHA APPROVED! Wonderfully updated 2 bedroom/2 bath 1st floor condo located in desirable Creekwood Terrace Condominiums! This beautiful complex is nestled off Fairground/Bardstown Road with fabulous trees surrounding the property making youfeel like you are in the country! This terrific condo has been tastefully updated and ready for its new owner! Updates toinclude: New paint throughout, new carpet/vinyl, new lighting fixtures, new bathroom and kitchen fixtures, new microwave and newer stove/refrigerator, new blinds and new ceiling fans in both bedrooms and living room! Spacious laundry room with big wash sink and lots of room for storage. Beautiful etched glass front door and storm door. Hurry as this special condo will not last long! Directions:Bardstown Road to Fairgounds Road to complex on the left. Then first left onto Rustling Tree. Unit on the right. SchoolsClick map icons below to view information for schools near 9512 Rustling Tree Way #102 Louisville, KY 40291. 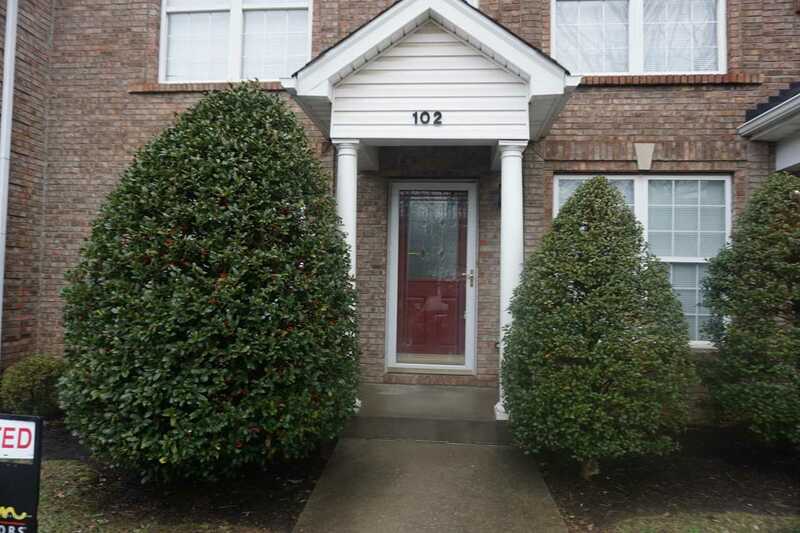 MLS # 1524056: This property at 9512 Rustling Tree Way #102, Louisville, KY 40291 is located in the Creekwood Terrace subdivision and is listed for $121,500. MLS # 1524056 has been on the market for 77 days.